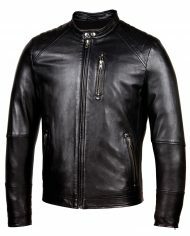 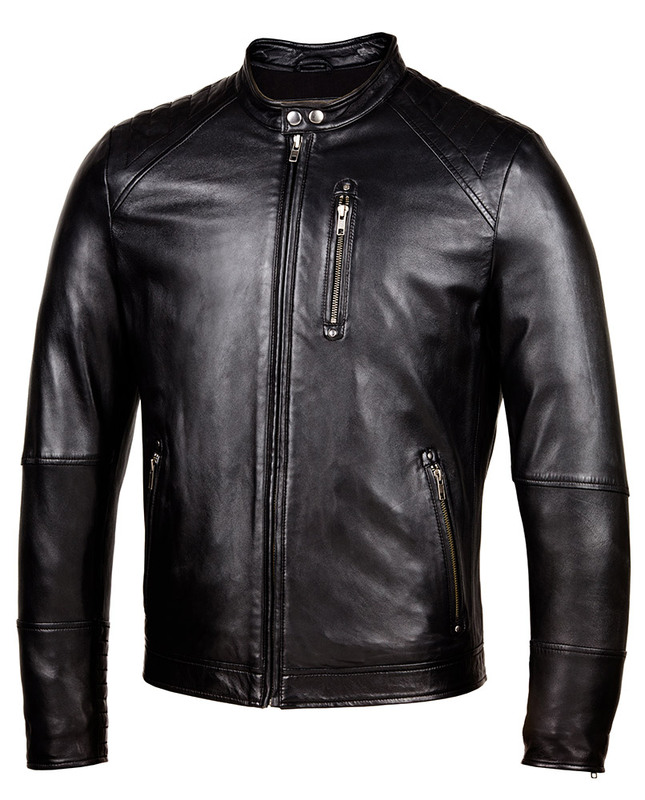 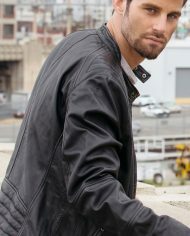 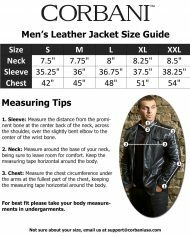 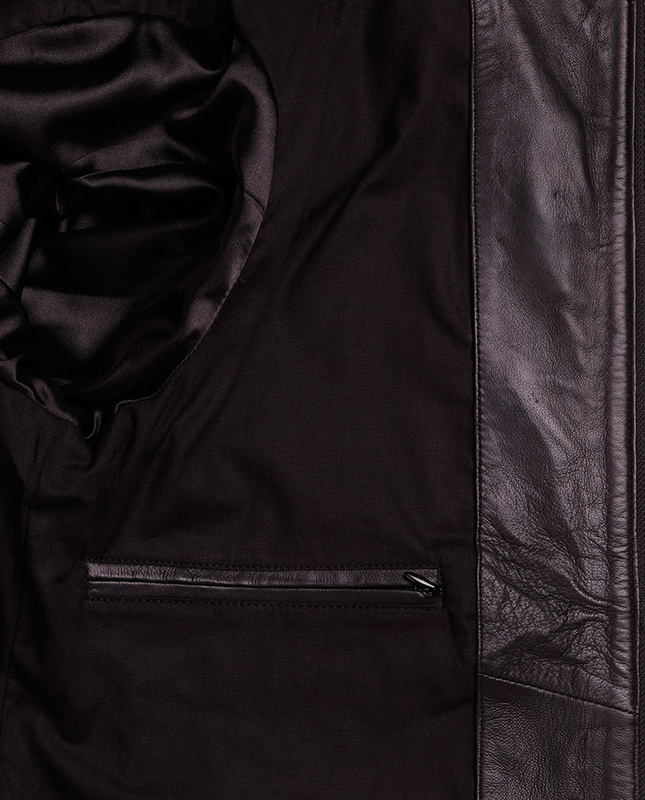 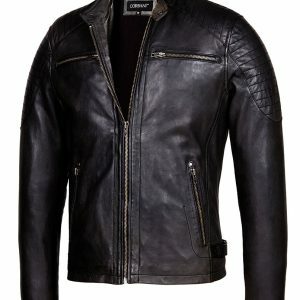 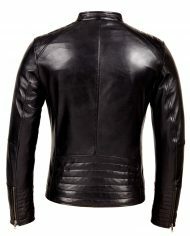 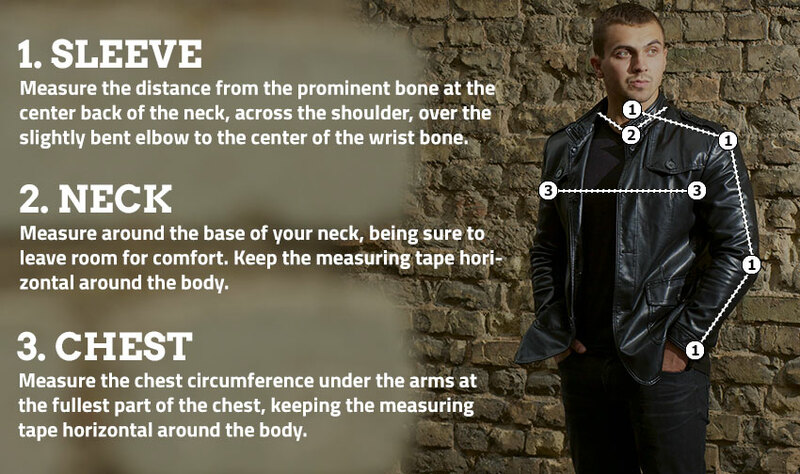 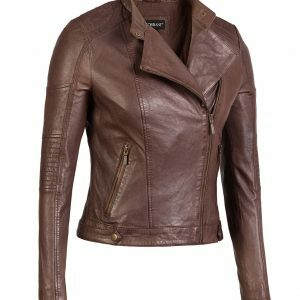 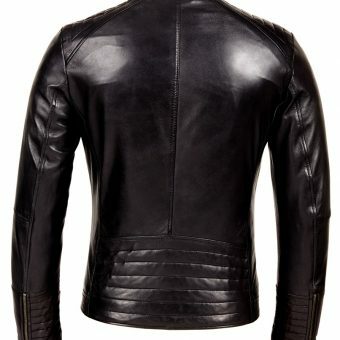 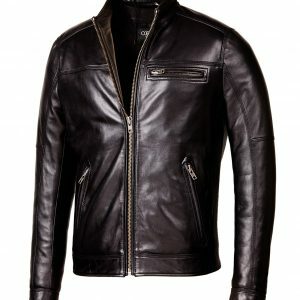 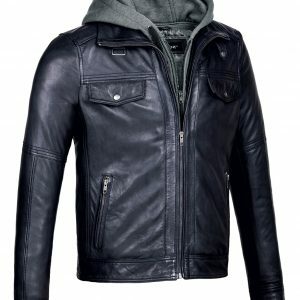 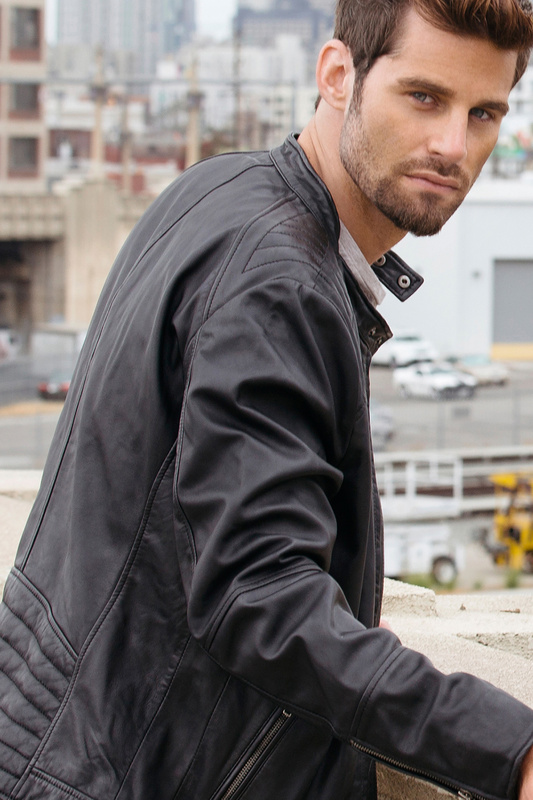 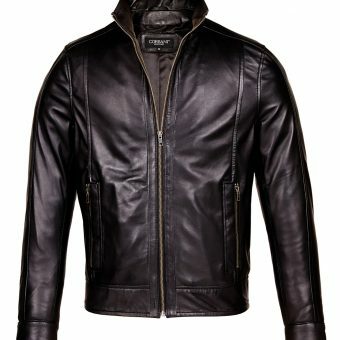 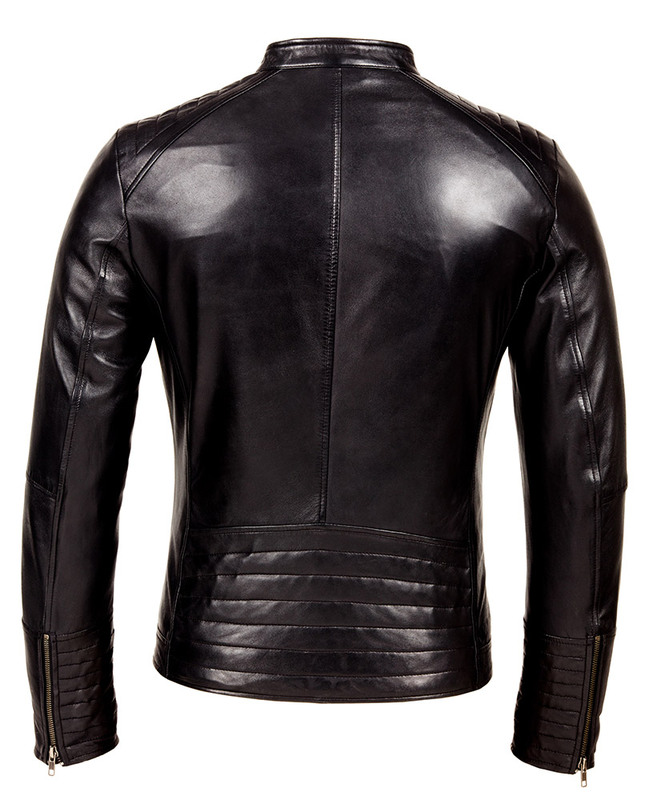 Take your casual style to the next level with this mens leather moto jacket. 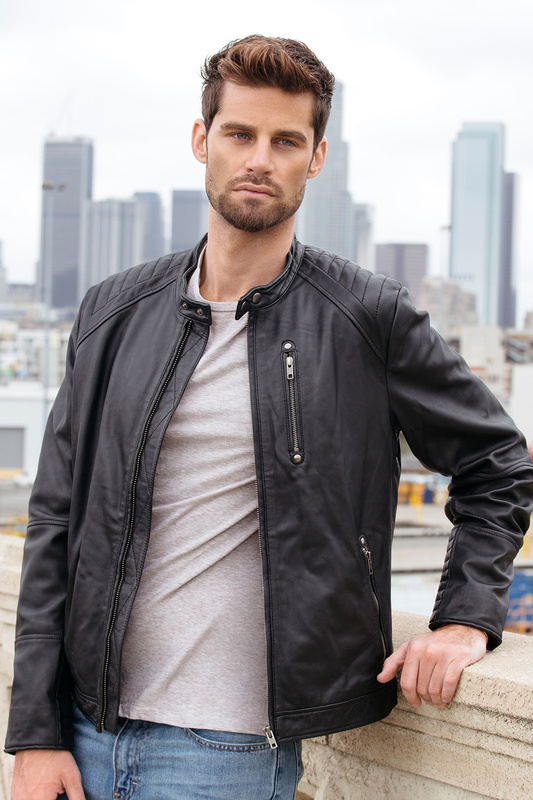 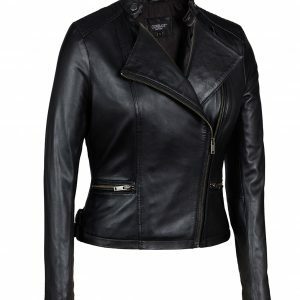 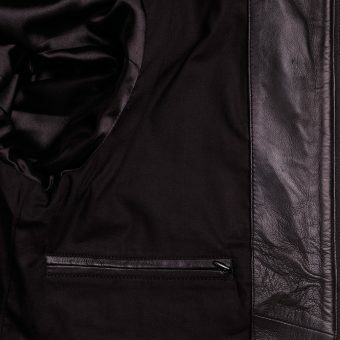 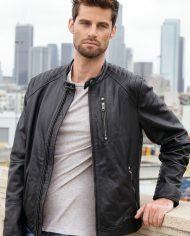 Crafted from real genuine lambskin leather this modern urban leather jacket features a premium gun metal concealed zip through front for a modern look and a minimalist moto inspired quilt design on the shoulders. 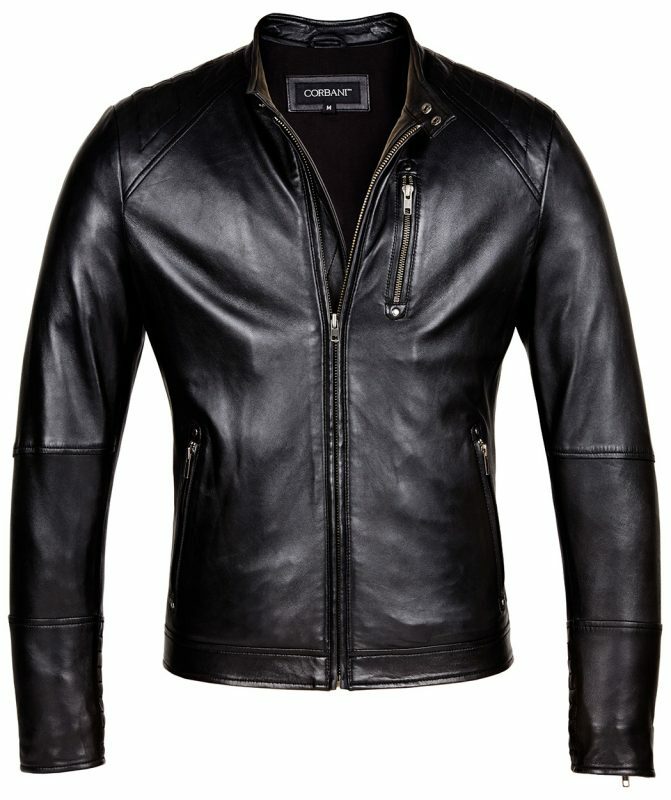 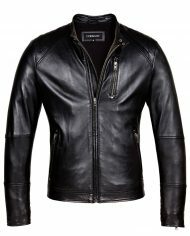 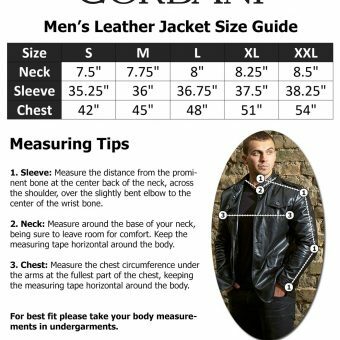 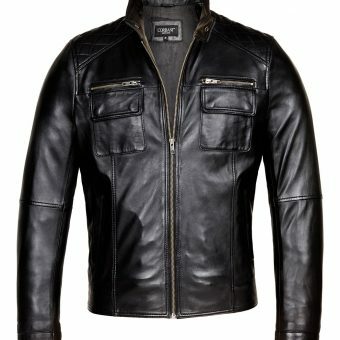 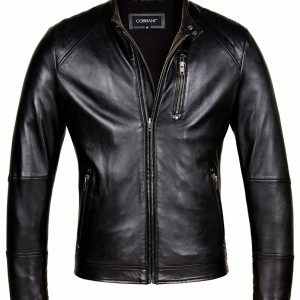 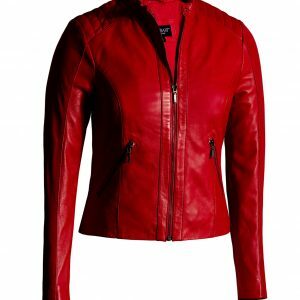 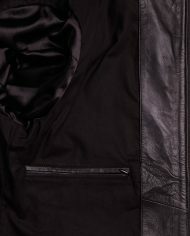 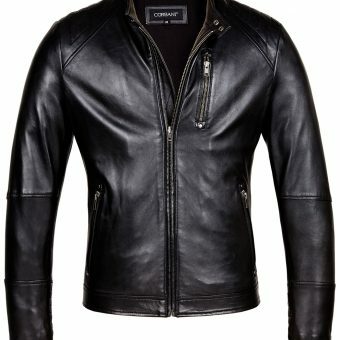 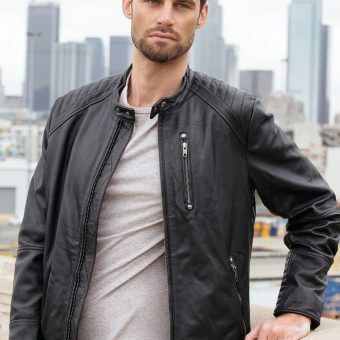 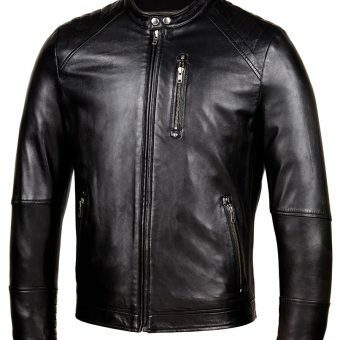 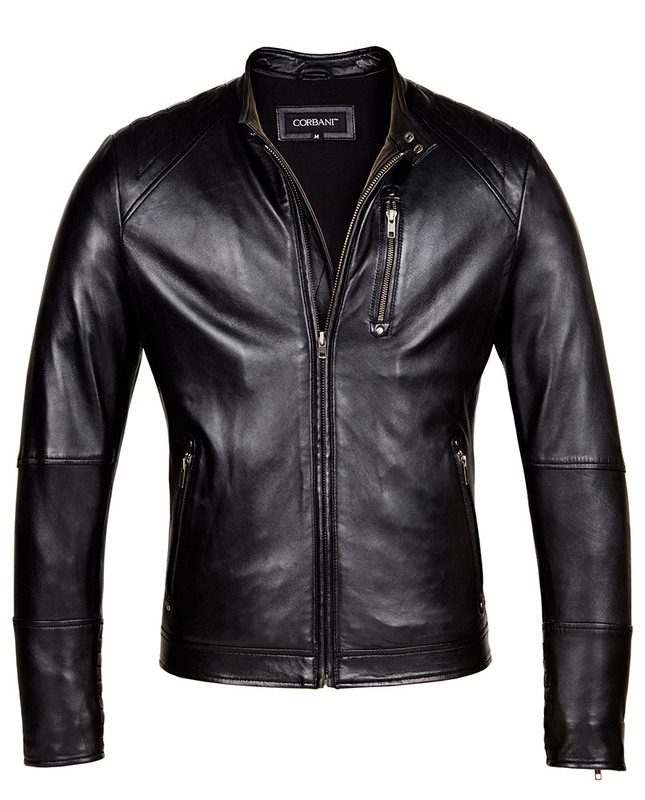 This cool slim fit leather jacket by Corbani features a stand up collar with double pressed stud buttons, zippered chest pocket, two zippered hand pockets all using premium gun metal hardware and two inside pockets. 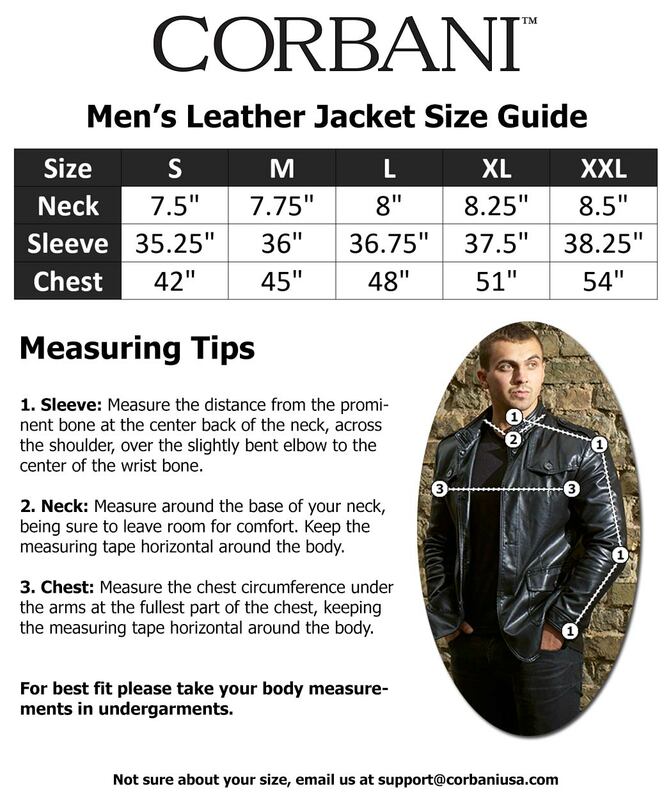 Please note that the model is wearing a size S.